Penelitian - China has launched its first domestically built polar research vessel and icebreaker "Xuelong 2" or "Snow Dragon" which will be operational in the first half of 2019. The vessel was deployed in Shanghai on Monday and will go through a series of tests and interior decoration before beginning official operations, according to its builder Jiangnan Shipyard Group. 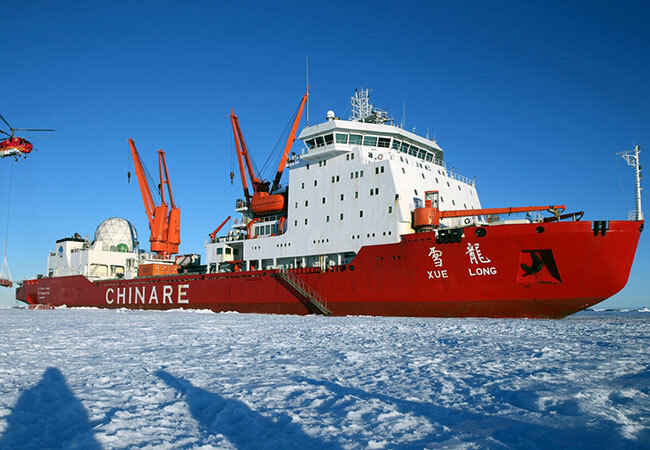 The launch of the vessel has extensively boosted China's polar research and expedition capabilities, said the builder. The vessel is 122.5 meters long and 22.3 meters wide, with a displacement of 13,990 tonnes and a navigation capability of 20,000 nautical miles. It can sail on 60-day expeditions with 90 crew members and researchers. "Xuelong 2" is able to turn quickly, has high safety standards, and strong icebreaking abilities. It also has two-direction icebreaking capabilities with both its bow and stern. Construction of the vessel started in December 2016.